RAD-seq method is a recently developed, cost-effective, and high-throughput approach for detecting genetic variability based on single-nucleotide polymorphisms (SNPs) and high-density genetic map. This study aimed to construct the quantitative trait locus (QTL) mapping for yield-associated agronomic traits in rice using a BC2F6 population which was derived from japonica hybrid rice Liaoyou 5218. Liaoyou 5218 were firstly crossed to female parent 5216A, and the subsequent self-crossed BC1F6 population was backcrossed to 5216A. The 167 BC2F6 breeding lines showed different agronomic traits from parental Liaoyou 5218 and C418. RAD-seq and bioinformatics methods were used to identify high-quality SNPs in the 167 BC2F6 breeding lines, which generated 40968 SNP markers on 12 chromosomes in rice. Linkage and QTL mapping was constructed, and 14 QTLs related to 6 agronomic traits were identified, including 4, 3, and 4 QTLs on chr03, 09, and 10, respectively. 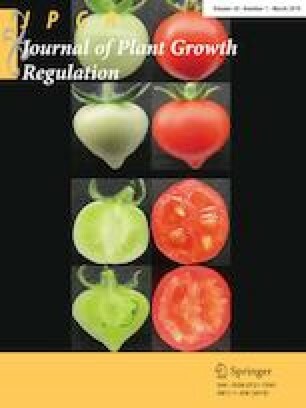 Among the yield-associated QTLs mapping genes, ITPK3 and EGY3 were related to plant height; CYP724B1, GAPC2, TRS120, BADH1, AOX1a, AOX1b, and COLD1 were associated with average panicle length; ACT2 and BAMY1 were associated with 1000-grain weight and tiller number per plant, respectively. We suggested that the 14 QTLs in the BC2F6 breeding lines derived from Liaoyou 5218 might be of important values for the identification and marker-assisted selection of candidate genes in rice breeding. The online version of this article ( https://doi.org/10.1007/s00344-019-09963-4) contains supplementary material, which is available to authorized users. This research was supported by the National Natural Science Foundation (31271676), National Key R&D Program of China (2016YFD0101106), Tianjin Key R&D Program (18YFZCNC01250), and Tianjin Modern Agricultural Industry Technology System Innovation Team (ITTRRS2018010 and ITTRRS2018008). All authors declared there were no conflicts of interests involved.